St Marie’s Heritage Group are very proud to be part of this year’s Halton Heritage Open Days. We’re one of several voluntary organisations opening our doors and inviting you to come inside and explore some of the wonderful heritage sites that are on your doorstep. The event is free for all. 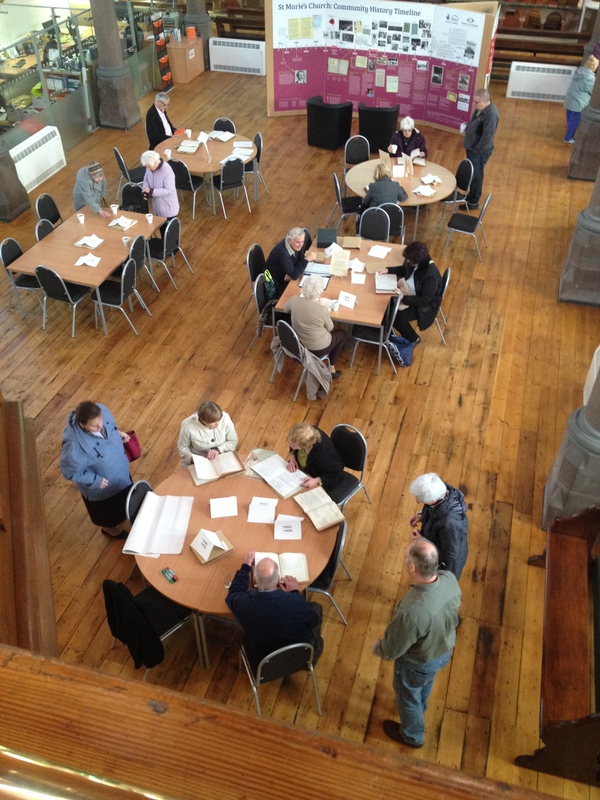 At the “Day of Discovery”, you’ll be able to come and browse through all the parish notice books dating from 1865 up until the church closed for worship in 2007. These books are a rich source of history, being the written account of the priest’s notices that were read from the pulpit at the end of Mass. It is also an opportunity to find family names recorded in a variety of ways, including marriage bans. The event will conclude with a superb performance from ‘The Knights’ Choir’, one of Widnes’ best loved vocal groups. You don’t have to book a place, simply turn up at St Marie’s between midday and 4pm. If you have any questions about this event, please contact Matthew Roberts on (01928) 592 405.